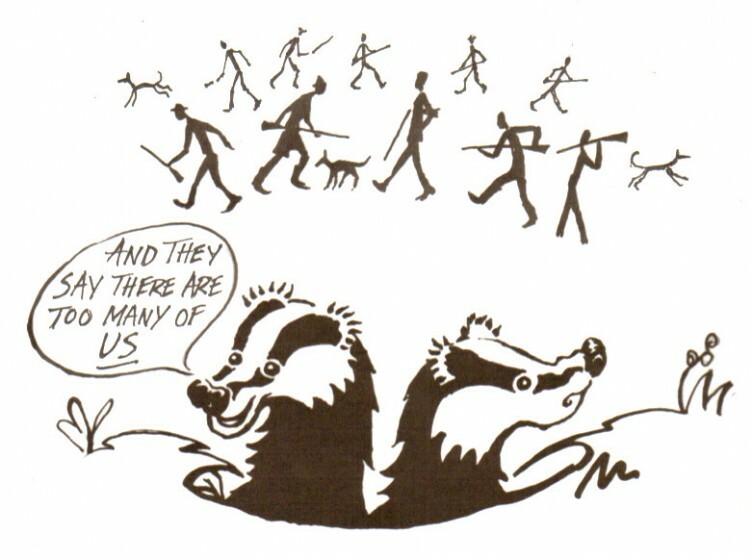 That’s roughly the ratio of people to badgers in England, using the figure of 53 million people in England and Natural England’s estimate of 220,000 badgers in 2011. But if the two pilot culls that are planned for this summer are deemed ‘successful’ and the Government’s badger cull policy is rolled out to its fullest extent, i.e. over 39,000 square kilometres or 30% of England, then this ratio of 250:1 will change dramatically over the next ten years. Depending on the actual area that is finally culled, the total English badger population could be reduced by more than 50%. There are also many concerns about the main proposed method of culling. The most humane method of killing badgers is generally agreed to be by cage-trapping first and then shooting them as was done on a large scale during the Randomised Badger Culling Trial (RBCT). But the new badger culls will mainly involve shooting free-running badgers at night using rifles and shotguns after habituating them to peanut baits placed near their setts over a period of days leading up to the cull. This method of culling badgers has never been used in a major government-planned badger control initiative before. Actual culling operations, including the training and deployment of shooters is being organised by the farming industry in line with Government licencing conditions. But many people are concerned whether the shooters will be sufficiently experienced, and even if they are, whether they will be able to get a clean shot at the critical ‘heart-lung’ target area of a low-slung muscular animal known to move very fast when disturbed. Furthermore, badgers, unlike foxes and rabbits, do not freeze when ‘lamped’, i.e. when a spotlight or other strong artificial light is shone on them. Another worry is that under current government rules, the shooters will be allowed to use unmuzzled dogs to track wounded badgers that are not killed outright.